You must have probably heard of the phrase “Keyword Research Done Properly“. A topic that is very popular amongst digital marketing specialist and SEOs. What is keyword research and why is it important? Simply put, keyword research is the process of identifying specific keywords that web searchers enter into search engines when searching for a similar subject. For example, you provide digital marketing services in Toronto for businesses and you want your website to show up on search result pages for the keyword phrase “digital marketing services” to residents of Toronto. In this case, the first thing to do is to conduct a research on digital marketing services to know the search volume in your geographical region and the intent behind the searcher’s query. You might have an idea of some keywords that are often used to perform a search on search engines in other to find a specific product, services or to learn about something. The truth is, there are thousands of websites online that are also competing for the same keywords, nevertheless, you can beat your competitors at it if you have a good keyword strategy — it all boils down to your keyword strategy. There are tools you can use for keyword research such as Google keywords planner, keyword finder, keyword tool among others. When conducting keyword research, it is recommended to avoid keywords or keyword phrases that have a high search volume and high competition. Preferably, find the keyword(s) or keyword phrases that have a reasonable monthly search volume and low competition, such type of keywords are known as the “low hanging fruit”, sometimes referred to as (long tail keywords ). These are basically keywords with a low monthly search volume with low or no competition at all. You might ask, why would I use such keywords? Well, the simple answer to that is, you will rank faster, build traffic, increase your keyword click through rate CTR and eventually increase your web page’s authority (PA). After knowing the search terms (keywords or keyword phrases) that your web pages showed up for in search engine result pages (SERPs), at this point, what you should do is optimize your web page with these keywords or create new pages and optimize them with the keywords or keyword phrases — It would improve your web pages search engine visibility and ranking. There are cases whereby a website is already ranking on the first pages of Google search results for some search queries (keywords). If you don’t have a search console account, you can create one here. Topical Keyword research is another technique you can use in keyword research. Proper keyword research for Search engine optimization can bring great success to your website if done properly. The following process is a standard approach to conducting keyword research. If you want to get results, follow the process outlined below when researching for keywords to optimize your webpages (website). Who are your target audience? What words will they use in the search engines? Where are they located? Would they find answers to their queries on my website? These are questions you need to ask when conducting keyword research. These questions will enable you to come up with keyword ideas which you can rephrase as you dive deeper and deeper in your keyword research. After coming up with a list of related keywords or keyword phrases, you can use any of the keyword tool listed above to find out the monthly search volume and competition for those keywords. Remember we said, choosing low hanging fruit keywords is highly recommended. After you have come up with a list of low hanging fruit keywords and it’s time to choose the keyword that would be used in optimising the web page you are targeting, my advice is to enter your most preferred keywords in Google search field, scroll down to the bottom of the search result page and copy the “search related terms”. Upload the related search terms to Google sheet or Microsoft Excel, see if the related keywords and your preferred keywords can answer the above questions in step one. Who are your target audience for dog training, puppy training and protection dog training? An example answer: dog owners, dog lovers etc. Where are the people searching for those keywords located? An example answer: near me, in my city (Toronto). Would they find answers to their queries in the web page am targeting? An example answer: Yes, I will provide information for dog training, puppy training, and protection training. If done properly, the web page you are targeting will contain useful information about dog owners, dog lovers, dog training, puppy training, protection training, the city of Toronto. Ideally you, content should contain 80% useful information and 20% sales pitch about your focus keyword. A bad practice is to make the whole content of your web page all about selling your products or services. If your keyword is “dog training Toronto”, what you should do is include the keyword two to three times (depending on the word count) when writing the content for the web page you are targeting. Remember to also include the related search terms (keywords) and information about the three questions you answered above. These techniques are very effective and have a high success rate. 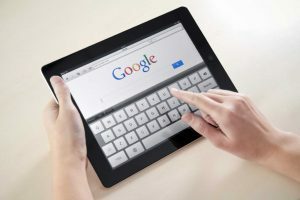 If you don’t have the time, skill and expertise to conduct keyword research using the techniques explained above, You can hire a digital marketing agency to write and optimize the contents of your web pages, in this way, you can be rest assured that, it will be done professionally. The major benefit of hiring a professional digital marketing agency to conduct keyword research is to ensure that “no stone is left unturned” — Meaning a digital marketing agency is aware of the “keyword research done properly” techniques. Certainly, a professional digital marketing specialist or SEO specialist is well aware of the optimal length and format required when incorporating keywords in the contents, title tags and Meta description of web pages. For instance, it’s always recommended to ensure that the keyword density is not high on the web page you are targeting which could get your website penalized by Google. A professional digital marketer will also help to craft compelling titles and Meta descriptions by using specific keywords that would compel the searcher to click on the website link. On page SEO versus off page SEO which one has more power?